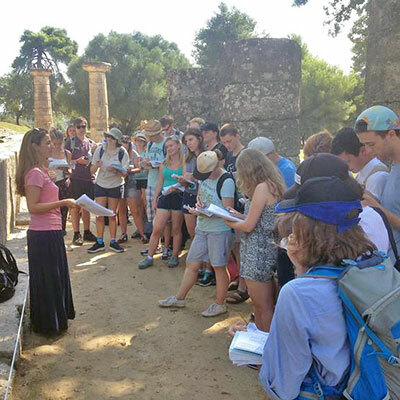 Each summer the School leads a three-week residential course for UK-based undergraduates on ‘The Archaeology and Topography of Greece’. 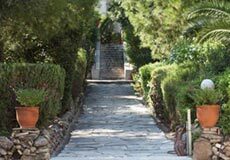 This introduces students to the physical landscape of Greece, and explores a variety of material evidence designed to complement university teaching and to expand the range of knowledge and skills which students can then bring to bear in the final years of their degrees. 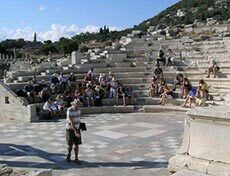 The programme begins with a series of ‘key theme’ lectures on Greek religion, science-based archaeology and topography, and continues with tours of the major archaeological sites and museums in Athens and Attica before leaving Athens for nine days of travel around the Peloponnese. The range of periods and sites covered is broad: students are introduced to archaeological sites and materials from the Early Helladic to the Early Modern periods. Teaching (ca. 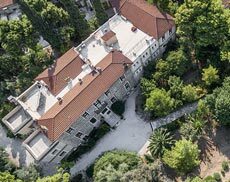 90 contact hours) is primarily site-based, and focuses on the application of archaeology to the study of the history, language, culture, and anthropology of Greece. It is particularly relevant to university courses on Greek Archaeology, History, and Classics, but includes also the study of later periods, notably the Byzantine world with its role in preserving the Classical tradition. There are up to 30 places offered each year to undergraduates studying at UK universities, and a number of bursaries are available to help cover the costs of travel and maintenance. The next course will take place in 18th August – 7th September 2019. Please find below the course advert, the provisional itinerary, the application form and a document with instructions for referees. The call for applications is now open and the deadline for submissions is the 31st March 2019. Please email your application to Dr. Chryssanthi Papadopoulou (assistant.director@bsa.ac.uk). It is the applicant’s responsibility to ensure that her/his referee will email an academic reference to the same address by the 31st of March. Students who wish to take this course as a module should also download the ‘Course Module’ document.